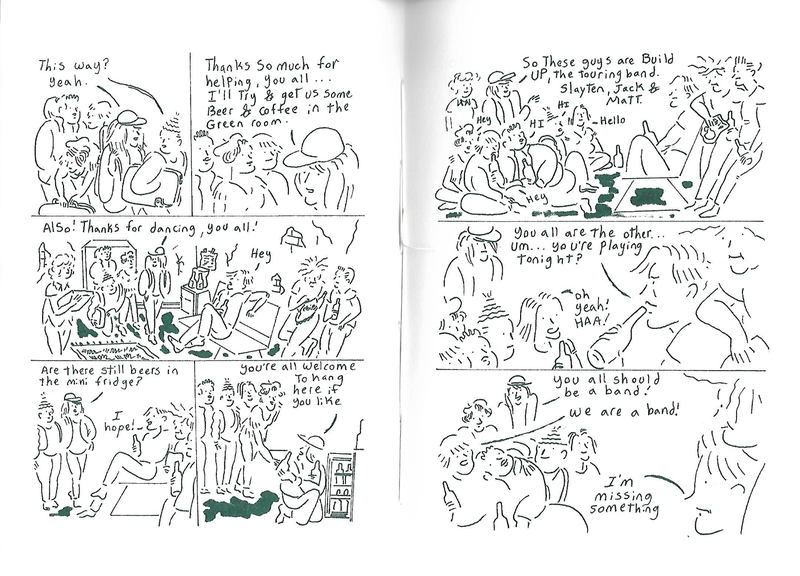 I recently picked up a selection of work from Berlin-based publisher Colorama Press. 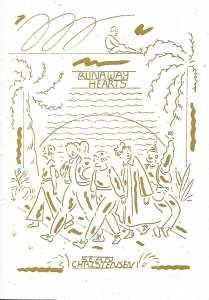 One of the more curious pieces is a graphic novella by Sean Christensen titled Runaway Hearts. Christensen is a part of the performance and zine collective Gridlords, based in the Pacific northwest. 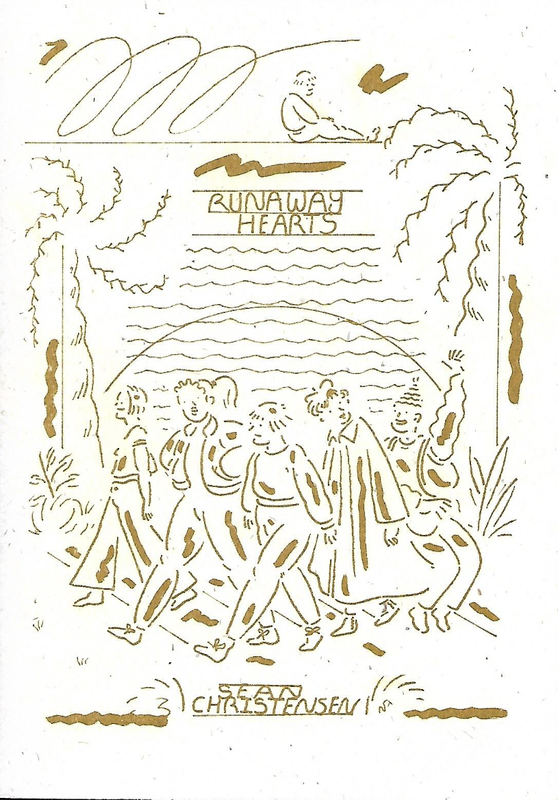 Runaway Hearts was published in early 2017 in an edition of 150, and the book is about a group of women who decide to form a band. We start the story with Corin, a woman at the end of her rope with her current boyfriend, and move through an evening of music, drinking, and theft. The book is 48 pages, printed in green ink, and bound by hand stitching. The most prominent feature of Christensen’s work in Runaway Hearts is his line, which is fractured and minimalist. White space predominates Christensen’s figure drawings, so much so that there are very few closed shapes in the entire book. 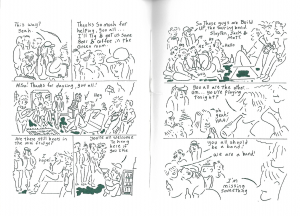 Small gaps between lines give the book an airy, formalist quality, as though Christensen is trying to determine how much mark-making is truly necessary to convey the desired objective. This thin line is often surrounded by a sort of marker-smear, a thick dark ink that conveys space and color and night. Christensen’s experimentation with mark-making also takes a prominent place in “fade-outs” where things happen that aren’t seen but are later explained. 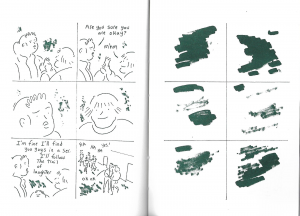 In these moments, ink splotches predominate in panels that look like ink bleeding through cover paper. There’s a lot going on in Runaway Hearts, but all of the things that happen flow from moment to moment, almost effortlessly. There’s an easiness to the work that defies expectation. The places Corin and friends go feel like something out of a local DIY scene, but their conversations have an almost “recorded” feel to them. The dialogue is so natural that it feels less like I’m reading a comic and more like I’m overhearing something at a coffee shop or a bar. Runaway Hearts is a tough comic to summarize, in part because of its wispy slice-of-life nature. Corin and friends hang out, then they go to a show, then later they hang out some more. 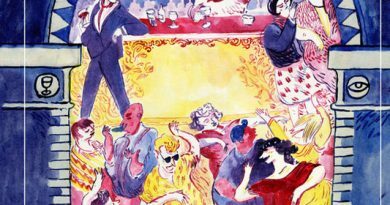 Most slice-of-life comics tend to be episodic – there’s a key moment or two that everything hinges on. 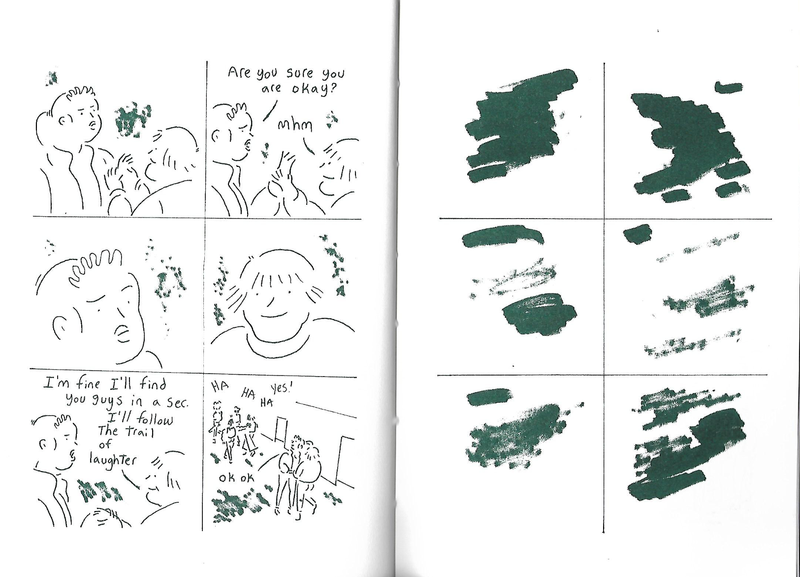 With Runaway Hearts those hinge moments (Corin dumping her boyfriend Chad and wrecking his apartment, Corin stealing instruments from a bunch of sexist guys) are specifically NOT represented – they’re obscured by blurry ink and empty panels. From a formal quality I like this choice. I like the idea that these high-intensity moments don’t need to be seen but can still be felt throughout the rest of the work. That said, I’m conflicted. While I like the the formal inventiveness, obscuring these scenes is also a storytelling choice. And missing those hinge moments makes the plot of Runaway Hearts feel listless. 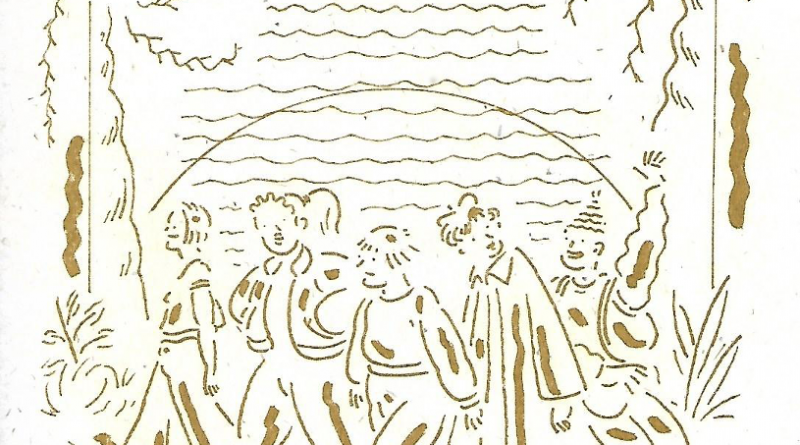 What the books lacks in narrative drama is made up for by a character-to-character warmth, and Christensen’s lovely drawings and delicate line helped the comic breathe and live in a way that few others do. Regardless of its small flaws, Runaway Hearts has a formal inventiveness and an interpersonal scope that was refreshing and welcome.